Posted on May 29, 2018 at 12:24 pm. Come Celebrate with friends and neighbours! Enjoy delicious Creston strawberries & a warm community gathering. 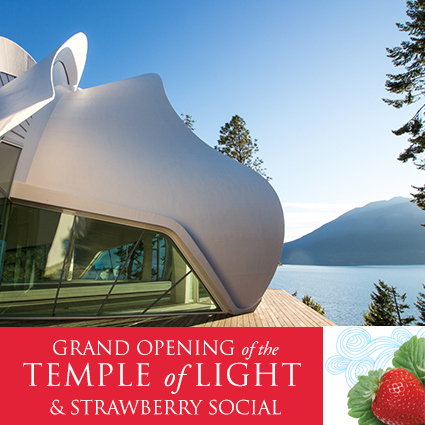 This will be a joyful, victorious time as we celebrate the beautiful Temple space dedicated to bringing people together in understanding. Please bring your family and friends to enjoy strawberries & cream and socializing with the community! Everyone is welcome.